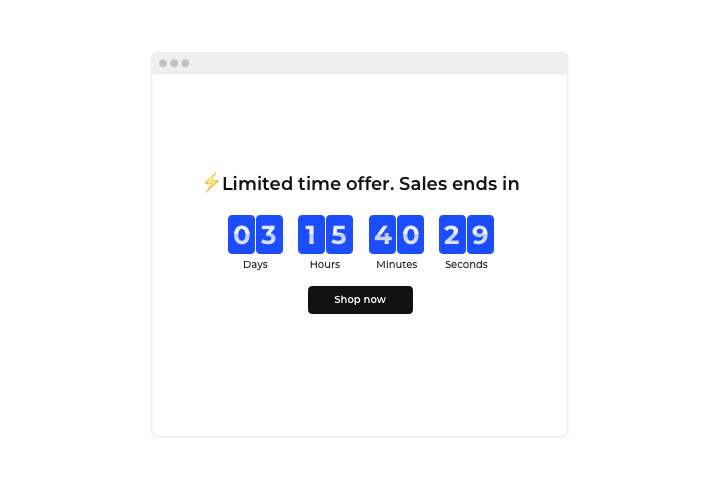 Start sales-attracting timers on your site with Elfsight Countdown widget. 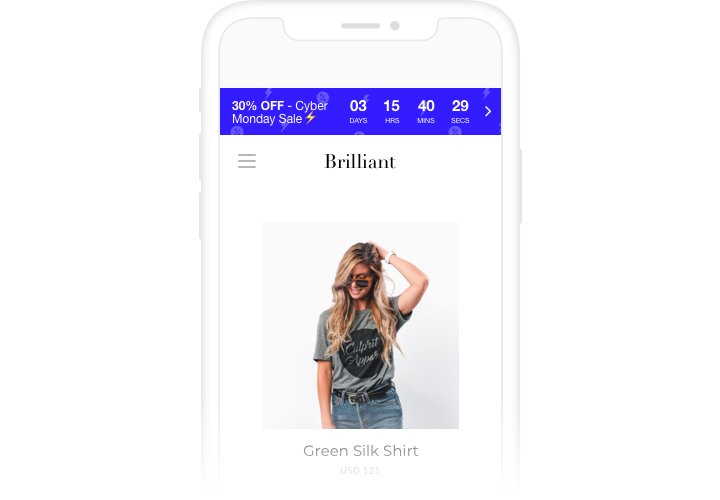 Drum up the atmosphere and create a sense of scarcity of your goods, demonstrating how quickly they are purchased right before the users’ eyes. Create pressing for purchase with time counting down to the finish of the special offer period. Use countdown to announce your upcoming occasions or holidays and keep your audience eagerly waiting for the start. Make your occasions and special offers unmissable and draw more purchases. Stimulate customers to purchase by producing a feeling of urgency. 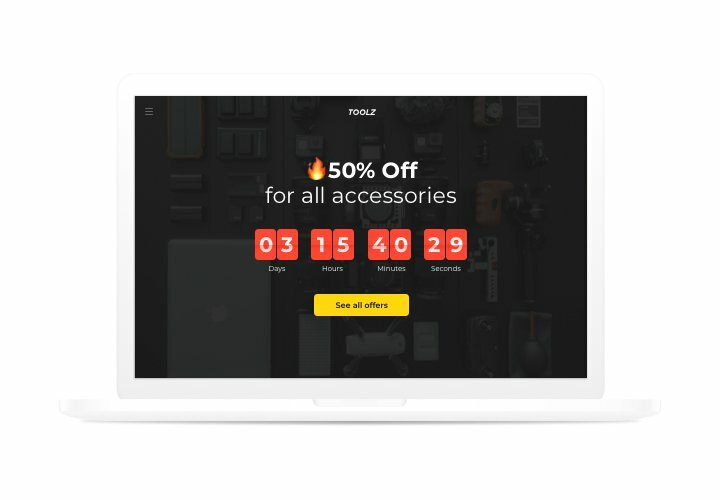 Set up countdown timers, which will show time left until the end of your sale period or special offer. 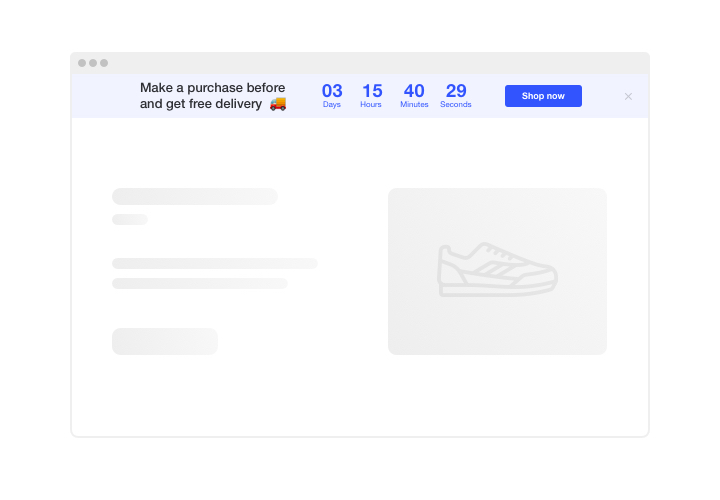 They will create a sense of urgency and encourage users to make a purchase decision sooner. Demonstrate the stock decreasing right now in order to raise items’ perceived value. 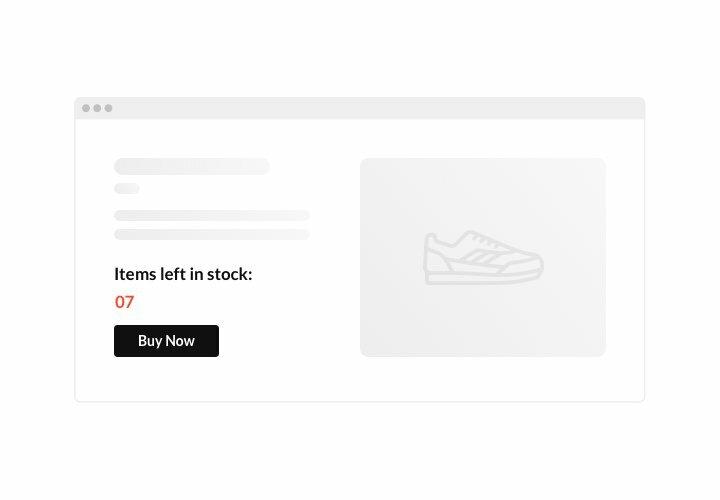 Bring a feeling of competition for your offers by showing that the level of sales is raising and the stock is decreasing. Item’s perceived worth will grow and audience will want to buy. 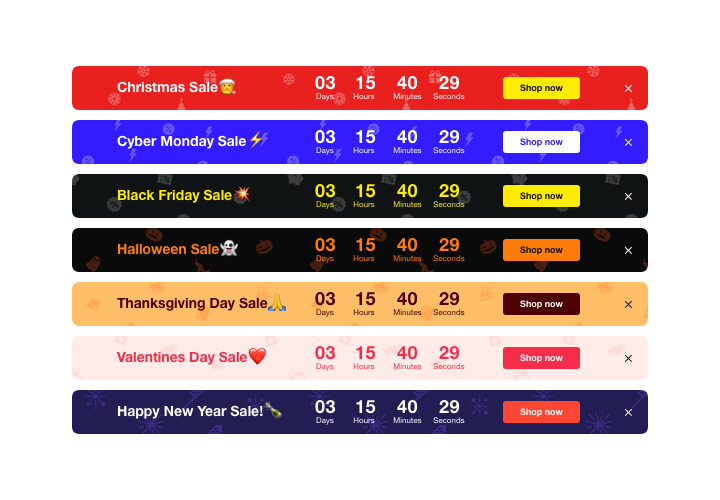 Attract more attention to your sale period with the help of a bright holiday-style countdown bar. With bright theme bars, you can show your special offers and seasonal sales in an eye-catching manner. Use holiday time to put up sales on your site. Three types of animation for numbers changing. Full time of the installation is approximately 80 seconds, and what’s more, you do not need experience in programming. Build your individual Countdown widget. Using our free configurator, shape a plugin with desired template and functions. Acquire the code for embedding the widget. After plugin customization, obtain a code for Countdown clock from the appeared window on Elfsight Apps. Show the widget on Muse site. Show the plugin on a desired place of the page and publish the changes. Go to your website, to check your widget. Experience any problems while embedding or configuring the plugin? Check a comprehensive tutorial on constructing plugin or contact our support Center. Configure a Muse Countdown widget for free!